Enough plastic is thrown away every year to circle the world 4 times More than 8 million tonnes of plastic enter the oceans each year 300 million tonnes of new plastic is produced every year An estimated 15-51 trillion pieces of plastic now litter the world's oceans 38.5 million plastic bottles are used every day in the UK A million plastic bottles are used per minute around the world 500 million plastic straws are used per year Without big action, at the current rate, pieces of plastic will outnumber fish in the ocean by 2050. That is the legacy we are leaving our children and grandchildren. Plastic flows into our lives from every direction and most of it is not recycled. Instead it is incinerated or ends up in landfill, where it will sit for hundreds of years, or enters the world's seas where it fragments into tiny pieces to become microplastics - the environmental scourge of our times. Many of us had assumed that governments, brands and waste authorities were dealing with plastic on our behalf. But the impact of shows such as Blue Planet along with national beach cleans and high-profile campaigns have resulted in a collective wake-up call. If there were plans and strategies, they have not worked as we imagined. It would be easy to feel despondent but instead we need to turn our anger and emotion into action, starting by making a big dent in our own enormous consumption. Turning the tide on Plastic is here just in time. Journalist, broadcaster and eco lifestyle expert Lucy Siegle provides a powerful call to arms to end the plastic pandemic along with the tools we need to make decisive change. It is a clear-eyed, authoritative and accessible guide to help us to take decisive and effective personal action. Because this matters. When it comes to single-use plastics, we are habitual users, reaching out for plastic water bottles, disposable coffee cups, plastic straws and carrier bags multiple times a day. If only 12 of us adopt Lucy's 'reduce, rethink, refill, refuse' approach, we could potentially ditch 3K-15K single items of plastic in a year. 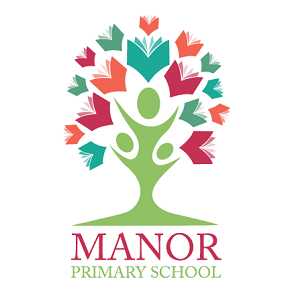 When we consider our power as influencers - whether at school, the hairdressers, at work or on the bus - we suddenly become part of something significant. So now is the time to speak up, take action and demand the change you want to see in the ocean, in the supermarket aisles and on the streets. 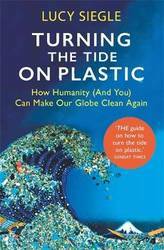 It's time to turn the tide on plastic, and this book will show you how. 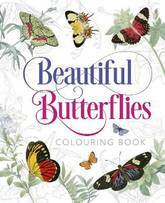 A delightful colouring-in book for anyone with a love of butterflies. 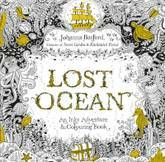 The perfect gift for natural history-lovers and budding artists alike, 45 colour reference images are shown alongside clear line drawings ready for the addition of colour. Each plate is numbered and there is a key for species identification. 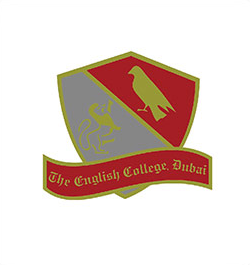 The exquisite colour reference illustrations are from The Naturalist's Library, a hugely popular Victorian series edited by the Scottish naturalist, Sir William Jardine (1800-1874). 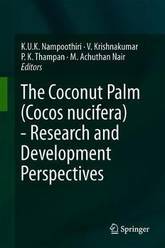 Since the publication of The coconut palm - A monograph in 1960, considerable information has been accrued on the crop through work at research institutes, international organisations and development agencies. Although coconut cultivation is spread over 93 countries, providing employment and creating livelihood opportunities to 64 million families around the globe, smallholder coconut farmers are now facing numerous challenges. The wide gap between the potential and actual yield is a major concern, and as such it is necessary to disseminate knowledge in order to implement research findings. Coconut research in India, one of the leading coconut producing countries, is celebrating its centenary, making this an opportune time to review the research and development advances and the relevant technologies. This detailed, comprehensive book covers all aspects of coconut, from the origins to cultivation, breeding, physiology and value addition, as well as subjects of topical interest like nutrition and health, biotechnology, and climate change and carbon sequestration. 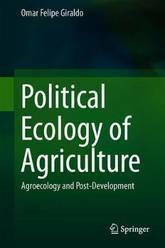 Written by leading experts in the fields it emphasises that the livelihood of the small coconut landholders is the ultimate aim of scientists and developmental agencies, and outlines various important strategies to make coconut farming more remunerative globally. It discusses work in all the major coconut growing countries and outlines suggestions for international cooperation. Research work on the crop is comparatively difficult because of its perennial nature, longevity, height, long juvenile phase, large sized nuts, cross pollination and seed propagation. As these special features necessitate greater investment of resources, time and land, it is all the more imperative that research is not duplicated and the information and experience becoming available around the world is shared so that it can be fully utilised. In this context periodic publications, compiling all the available information on coconut assume greater significance. This book is therefore of great value to researchers, students, extension workers, developmental agencies and progressive farmers. 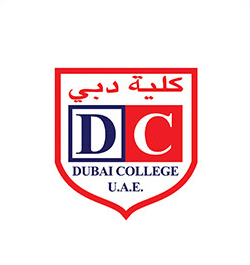 This book considers the principle of `sustainable development' which is currently facing a growing environmental crisis. 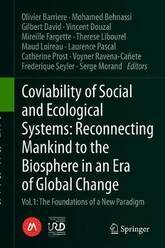 A new mode of thinking and positioning the ecological imperative is the major input of this volume. The prism of co-viability is not the economics of political agencies that carry the ideology of the dominant/conventional economic schools, but rather an opening of innovation perspectives through science. 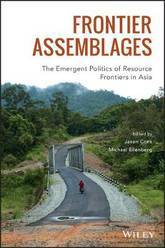 This volume, through its four parts, more than 40 chapters and a hundred authors, gives birth to a paradigm which crystallizes within a concept that will support in overcoming the ecological emergency deadlock. 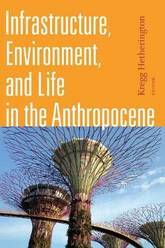 A new understanding of the Anthropocene that is based on mutual transformation with nature rather than control over nature. We have been told that we are living in the Anthropocene, a geological era shaped by humans rather than by nature. 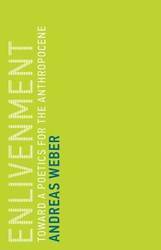 In Enlivenment, German philosopher Andreas Weber presents an alternative understanding of our relationship with nature, arguing not that humans control nature but that humans and nature exist in a commons of mutual transformation. There is no nature-human dualism, he contends, because the fundamental dimension of existence is shared in what he calls aliveness. All subjectivity is intersubjectivity. Self is self-through-other. Seeing all beings in a common household of matter, desire, and imagination, an economy of metabolic and economic transformation, is enlivenment. This perspective allows us to move beyond Enlightenment-style thinking that strips material reality of any subjectivity. To take this step, Weber argues, we need to supplant the concept of techne with the concept of poiesis as the element that brings forth reality. In a world not divided into things and ideas, culture and nature, reality arises from the creation of relationships and continuous fertile transformations; any thinking in terms of relationships comes about as a poetics. The self is always a function of the whole; the whole is equally a function of the individual. Only this integrated freedom allows humanity to reconcile with the natural world. 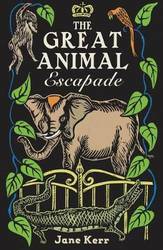 This first English edition of Enlivenment has been expanded and updated from the German edition. In popular discourse, tropical forests are synonymous with 'nature' and 'wilderness'; battlegrounds between apparently pristine floral, faunal, and human communities, and the unrelenting industrial and urban powers of the modern world. It is rarely publicly understood that the extent of human adaptation to, and alteration of, tropical forest environments extends across archaeological, historical, and anthropological timescales. This book is the first attempt to bring together evidence for the nature of human interactions with tropical forests on a global scale, from the emergence of hominins in the tropical forests of Africa to modern conservation issues. 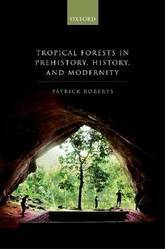 Following a review of the natural history and variability of tropical forest ecosystems, this book takes a tour of human, and human ancestor, occupation and use of tropical forest environments through time. Far from being pristine, primordial ecosystems, this book illustrates how our species has inhabited and modified tropical forests from the earliest stages of its evolution. While agricultural strategies and vast urban networks emerged in tropical forests long prior to the arrival of European colonial powers and later industrialization, this should not be taken as justification for the massive deforestation and biodiversity threats imposed on tropical forest ecosystems in the 21st century. Rather, such a long-term perspective highlights the ongoing challenges of sustainability faced by forager, agricultural, and urban societies in these environments, setting the stage for more integrated approaches to conservation and policy-making, and the protection of millennia of ecological and cultural heritage bound up in these habitats. Countering the conventional narrative that Florida's tourism industry suffered during the Great Depression, this book shows that the 1930s were, in reality, the starting point for much that characterizes modern Florida's tourism. David Nelson argues that state and federal government programs designed to reboot the economy during this decade are crucial to understanding the state today. Nelson examines the impact of three connected initiatives?the federal New Deal, its Civilian Conservation Corps program (CCC), and the CCC's creation of the Florida Park Service. He reveals that the CCC designed state parks to reinforce the popular image of Florida as a tropical, exotic, and safe paradise. The CCC often removed native flora and fauna, introduced exotic species, and created artificial landscapes. Nelson discusses how Florida business leaders benefitted from federally-funded development and the ways residents and business owners rejected or supported the commercialization and shifting cultural identity of their state. 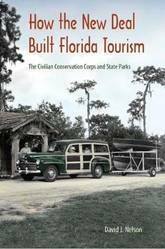 A detailed look at a unique era in which the state government sponsored the tourism industry, helped commodify natural resources, and boosted mythical ideas of the Real Florida that endure today, this book makes the case that the creation of the Florida Park Service is the story of modern Florida. Towns and villages are sometimes viewed as minor, even quaint, spots, whereas this book boldly reconceptualizes these places as important dynamic environmental 'hotspots'. Multitudes of towns and villages with nearly half the world's population characterize perhaps half the global land surface. 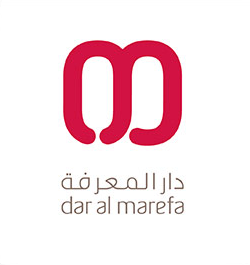 The book's pages feature ecological patterns, processes, and change, as well as human dimensions, both within towns and in strong connections and effects on surrounding agricultural land, forest land, and arid land. Towns, small to large, and villages are examined with spatial and cultural lenses. Ecological dimensions - water, soil and air systems, together with habitats, plants, wildlife and biodiversity - are highlighted. A concluding section presents concepts for making better towns and better land. 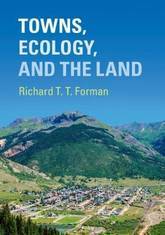 From a pioneer in both landscape ecology and urban ecology, this highly international town ecology book opens an important frontier for researchers, students, professors, and professionals including environmental, town, and conservation planners. Delight your senses with this bountiful collection of 40 recipes for floral-flavoured cocktails. No longer the reserve of the cocktail garnish, flowers are taking centre stage in the most delectable drinks. From a subtle rose petal vodka to a heady honeysuckle syrup, adding a floral liqueur, essence or syrup to a cocktail adds a depth of flavour and complexity which will dazzle and delight. 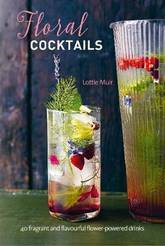 Lottie Muir, the creator the Midnight Apothecary pop-up cocktail bar, set in a roof garden in London, has designed over 40 ways to include edible flowers in drinks. Recipes include a Gorse Collins with a beautiful, delicate almond and honey flavour and a Berried Treasure, inspired by a French 75, using Elderflower Liqueur to provide sweetness mixed with gin, lemon juice and champagne. From a sparkling Lavender Gin Fizz to a Hibiscus Mojito there's a glorious cocktail for all budding mixologists. With growing awareness of environmental deterioration, atmospheric pollution and resource depletion, the last several decades have brought increased attention and scrutiny to global consumption levels. 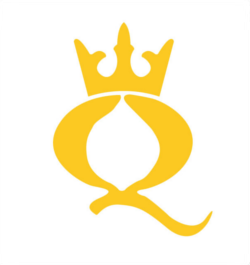 However, there are significant and well documented limitations associated with current efforts to encourage more sustainable consumption patterns, ranging from informational and time constraints to the highly individualizing effect of market-based participation. 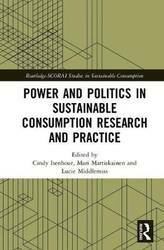 This volume, featuring essays solicited from experts engaged in sustainable consumption research from around the world, presents empirical and theoretical illustrations of the various means through which politics and power influence (un)sustainable consumption practices, policies and perspectives. With chapters on compelling topics including collective action, behaviour-change and the transition movement, the authors discuss why current efforts have largely failed to meet environmental targets and explore promising directions for research, policy and practice. Featuring contributions that will help the reader open up politics and power in ways that are accessible and productive and bridge the gaps with current approaches to sustainable consumption, this book will be of great interest to students and scholars of sustainable consumption and the politics of sustainability. Illuminating. --New York Times WIRED's Required Science Reading 2016 When we think of water in the West, we think of conflict and crisis. In recent years, newspaper headlines have screamed, Scarce water and the death of California farms, The Dust Bowl returns, A 'megadrought' will grip U.S. in the coming decades. Yet similar stories have been appearing for decades and the taps continue to flow. John Fleck argues that the talk of impending doom is not only untrue, but dangerous. When people get scared, they fight for the last drop of water; but when they actually have less, they use less. 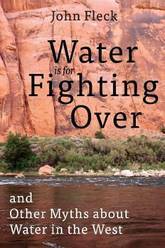 Having covered environmental issues in the West for a quarter century, Fleck would be the last writer to discount the serious problems posed by a dwindling Colorado River. But in that time, Fleck has also seen people in the Colorado River Basin come together, conserve, and share the water that is available. Western communities, whether farmers and city-dwellers or US environmentalists and Mexican water managers, have a promising record of cooperation, a record often obscured by the crisis narrative. In this fresh take on western water, Fleck brings to light the true history of collaboration and examines the bonds currently being forged to solve the Basin's most dire threats. Rather than perpetuate the myth Whiskey's for drinkin', water's for fightin' over, Fleck urges readers to embrace a new, more optimistic narrative--a future where the Colorado continues to flow. Learn how to really find Petoskey Stones! Michigan's famous stone and its rays of the rising sun are admired and desired across the country--and around the world. 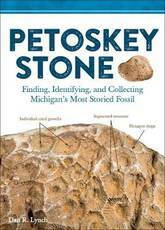 This is the only guide you need to begin finding and collecting the Petoskey Stone. The easy-to-follow, step-by-step instructions help to turn those once frustrating hunts into successful one. Discover where to look, from obvious spots like Lake Michigan beaches and Petoskey State Park to lesser known locales, including gravel pits and roadbeds. Find out what to look for in watery areas and why the search is entirely different in dry environs. Along the way, you'll learn the legends, myths, and facts that surround Michigan's official State Stone, like which fossilized skeletons give it its unforgettable appearance. From the first signs of spring until winter arrives in full force, grab Petoskey Stone by Dan R. Lynch and begin your next rock-hunting adventure! This book presents a summary of terrestrial microbial processes, which are a key factor in supporting healthy life on our planet. The authors explain how microorganisms maintain the soil ecosystem through recycling carbon and nitrogen and then provide insights into how soil microbiology processes integrate into ecosystem science, helping to achieve successful bioremediation as well as safe and effective operation of landfills, and enabling the design of composting processes that reduce the amount of waste that is placed in landfills. 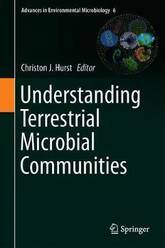 The book also explores the effect of human land use, including restoration on soil microbial communities and the response of wetland microbial communities to anthropogenic pollutants. 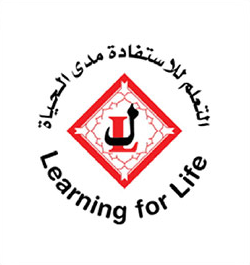 Lastly it discusses the role of fungi in causing damaging, and often lethal, infectious diseases in plants and animals. 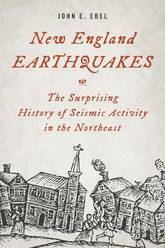 New England and nearby areas in the United States and Canada have a long and storied history of earthquakes that goes back to the times of the earliest exploration and settlement of the region by Europeans. This may come as a surprise to the many people living in the region today who have never felt a local earthquake. Nevertheless, not only is it true, but there is every reason to believe that earthquakes, including some damaging earthquakes, will strike New England in the future. In fact, in the 1960s Boston, Massachusetts was given the same seismic hazard rating as Los Angeles, California because both had experienced strong earthquakes in their historic pasts. Since then seismologists have learned much about the rates at which earthquakes occur throughout the country and about the effects of the earthquakes when they occur. Today, we know that the probability of damaging earthquake shaking in Boston is about twenty-five times less than in Los Angeles. Even so, the threat of earthquakes in Boston, throughout New England, and in adjacent regions is one that cannot be ignored. From the 1638 so-called Pilgrim's Earthquake to anticipating what the future may hold, John E. Ebel introduces you to the surprising history of earthquakes in the northeast corridor. A mother's hug lasts for long after she lets go. There's nowhere warmer or safer than the embrace of a loving mother, and even as we grow older, our thoughts return again and again to the love we received as infants. Just like us, mums from the natural world are devoted to their little ones. 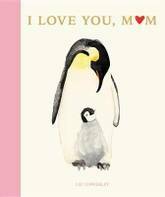 From the cuddly walrus who snuggles her cubs tight in her flippers to the brave tiger who defends her precious young from all possible dangers, celebrate the wonder of mum with this little book that reminds us just how special she is. Ever since Jurassic Park we thought we knew how dinosaurs lived their lives. 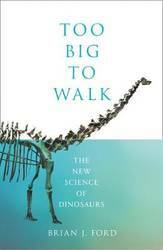 In this remarkable new book, Brian J. Ford reveals that dinosaurs were, in fact, profoundly different from what we believe, and their environment was unlike anything we have previously thought. In this meticulous and absorbing account, Ford reviews the latest scientific evidence to show that the popular accounts of dinosaurs' lives contain ideas that are no more than convenient inventions: how dinosaurs mated, how they hunted and communicated, how they nursed their young, even how they moved. He uncovers many surprising details which challenge our most deeply-held beliefs - such as the revelation that an asteroid impact did not end the dinosaurs' existence. Professor Ford's illuminating examination changes everything. As he unravels the history of the world, we discover that evolution was not Charles Darwin's idea; there were many philosophers who published the theory before him. The concept of continental drift and plate tectonics did not begin with Alfred Wegener a century ago, but dates back to learned pioneers hundreds of years before his time. Ever since scientists first began to study dinosaurs, they have travelled with each other down the wrong path, and Ford now shows how this entire branch of science has to be rewritten. A new dinosaur species is announced every ten days, and more and more information is currently being discovered about how they may have lived: locomotion, hunting, nesting behaviour, distribution, extinction. 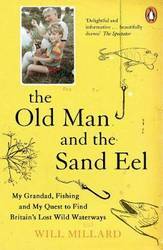 Ford brings together these amazing discoveries in this controversial new book which undoubtedly will ruffle a few feathers, or scales if you are an old-school dinosaur lover. The Quick Guide for Sedges of the Northern Forest contains two double-sided photographic charts that allow users to see high-res, close-up images of the more than 200 sedges in the Northern Forest region. The map-sized folding charts are water-resistant and field-friendly, the perfect companion to the Photographic Guide. This product was made in collaboration with the Northern Forest Atlas Foundation and the Wildlife Conservation Society Adirondack Program. Perfect for display or close observation, the posters in this elegantly produced collection of Ernst Haeckel's exquisite illustrations of natural forms demonstrate his exceptional artistry. 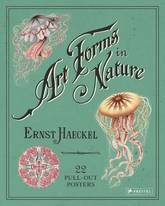 Biologist, physician, philosopher, and artist, Ernst Haeckel was also a prescient observer of the natural world. His highly detailed and expertly rendered illustrations, first published at the turn of the 20th century, are not only beautiful works of art, but also have scientific underpinnings. Now available as a series of large format posters sumptuously printed and suitable for framing, Haeckel's most elaborate and captivating works illustrate his fundamental notion of the unity of all living things. From otherworldly radiolaria to psychedelic sea anemones, Haeckel's science and artistry continue to provide inspiration for 21st-century illustrators, architects, graphic designers, and anyone interested in exploring nature's perfect geometry. Lovers of all nature, Greg Parsons and Kate Watson are particularly fascinated with waterfalls. 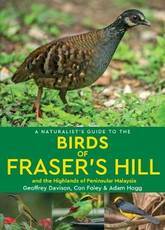 This new edition contains dozens of new waterfalls and provides extensive trail and road updates to existing ones. Waterfalls in every New England state are described according to type, height, trail length, and difficulty. Also included in this edition for the first time are color photographs, GPS coordinates for both the trailhead and the waterfall, and the size of the watershed area. 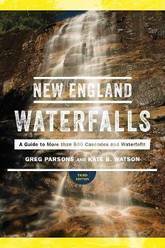 With easy- to- follow maps and appendices of the best swimming holes and day trips, New England Waterfalls delivers a wealth of information for seekers of these regional treasures. Woodcock are one of the oddest birds in North America. They are a shorebird that got lost and ended up in the scrubby parts of the forest, and look like they were put together with the leftover parts of other birds. Oddities aside, each spring they rise to great beauty with their sky dance at dusk. 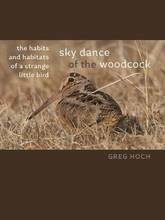 Greg Hoch combines natural history, land management, scientific knowledge, and personal observation to examine this little game bird. Woodcock have a complex life history and the management of their habitat is also complex. The health of this bird can be considered a key indicator of what good forests look like. Nesting along the sandy fringe of the North American coast from Maine to Florida, terns are graceful symbols of our coastal beaches, yet they lead fragile and frantic lives. Join educator, storyteller, and photographer Peter Trull as he describes the physical and behavioral differences among the four types of terns that nest in the Cape Cod area, their migratory habits and predators, and why they are called birds of paradox. Both a photographic journey and an ornithological diary, Trull describes his ten-plus years watching, recording, and photographing these birds from Massachusetts to the coast of Guyana. More than 100 photographs depict day-to-day life and never-before-seen behaviors from inside the dynamic, noisy nesting colonies. This engaging book offers momentary glimpses into the complexities of these erratic, agile seabirdsaseemingly carefree but always on the huntaand their struggle to survive. In The World of Dinosaurs, paleontologist Dr Mark Norell takes a detailed look at everything we know about these wondrous creatures, drawing on the very latest research in the field. Produced in association with the American Museum of Natural History and drawing on their archives, Norell examines every facet of the dinosaur mystery, from the scattering of dinosaur fossils after the breakup of Pangea to the different categorizations of these monstrous reptiles. Even subjects you may think you know about - such as the species' extinction - are looked at in a new light. 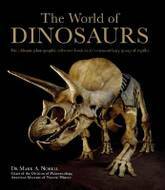 Illustrated with exceptional scientific recreations of key species, as well as documentary photographs, sketches and notes from dino discoveries, this is the ultimate photographic reference book on dinosaurs.